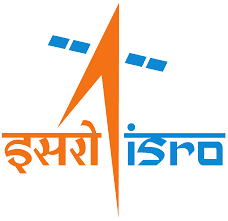 Indian Space Research Organisation (ISRO), ISRO Centralised Recruitment Board (ICRB) Recruitment for below mentioned Posts 2018. Other details like age limit, educational qualification, selection process, application fee and how to apply are given below. Indian Space Research Organisation, Space Application Center, Ahmedabad has published Advertisement for below mentioned Posts 2018. Other details like age limit, educational qualification, selection process, application fee and how to apply are given below. Ph.D. in topics related to fields of Electronics/VLSI/Microwave/ B.Sc. in Multimedia/Animation/Matric (10th) and ITI in relevant Trade as the educational Qualification. Check the official site of ISRO or SAC at sac.gov.in. And then look for the ISRO SAC Recruitment 2018-2019 Notification. So, after finding, check the details given in it. And after reading them all, if you are eligible to download the application form. Therefore, submit the application form by the closing date.